SAITERM goal is to finance the development of the production and marketing of a physical, totally innovative product for high efficiency heating of environments, remaining independent and autonomous, financing via the blockchain, the creation of production and commercial facilities necessary for the production and distribution of the most efficient heating system in the world, a system already designed, patented, implemented and tested. 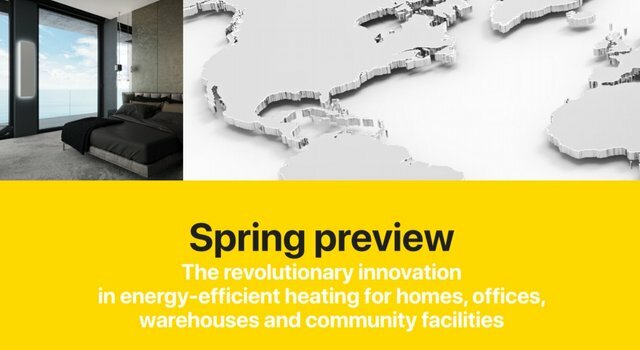 The development of this system, produced by Saiterm, is called SPRING, offering a derivative that exploits cuttingedge financial and industrial technologies, to produce and distribute an extremely sought-after product, as absolutely necessary and that responds to future global needs in terms of energy efficiency and well-being for humans. With reference to the state of art, the aim of Saiterm is to reduce the installed power and consumption of heating systems. With the same performance of technologies currently on the market. Saiterm is involved in the production and distribution of heating systems. The development of this system, produced by Saiterm, is called SPRING and offers a derivative that uses innovative financial and industrial technologies to produce and distribute a highly sought after product that is absolutely necessary and meets the global future needs Energy efficiency and well-being for humans. 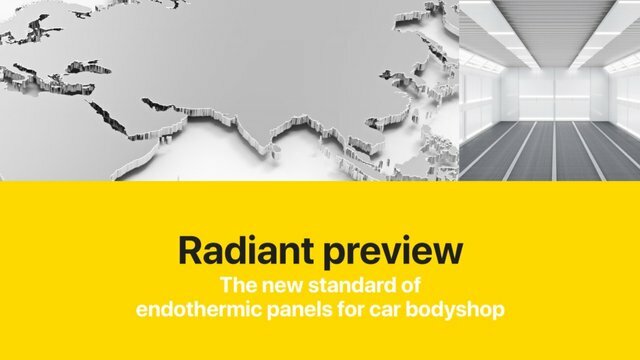 With more than 30 years of experience and the creativity of our technical staff, we have been able to establish ourselves as a technology leader in the field of interior heating and also in some industrial applications, especially refinement and drying, with extremely efficient and innovative results. This is possible thanks to the harmonious and productive coexistence of completely different ways of thinking and experiences. Different, but with many similarities, eg. For example, a vision of the future and the will to face, and sometimes even anticipate, the challenges, as in the case of Spring and Radiant, our current primary competition, technologies. The expertise of our team in specific sectors, as well as their energy and innovation capability, enable us to meet very different needs. In fact, the ideas that prevailed during the development phases of our heating products were among the most worried living comfort, energy efficiency and design. With the aim of contributing to wellbeing, it has been adapted to the environment and efficiency. When developing products for the industrial sector, Saiterm’s main ideas were work, productivity, profit margin and occupational safety, with a focus on simplicity and comfort for the user. Goal example The main goal of Saiterm is to contribute to wellbeing. It has been improved to adapt to its environment and inefficiency. We want to develop cutting-edge technology products to reduce energy consumption and emissions. WHY WE CHOOSE BLOCK CHAIN? Through the Blockchain platform, we will use our infrared heating technology to help consumers save energy and carbon emissions from industry and the home. The production process is fully automated to ensure the distribution of 20,000 output pieces, which will lead us to at least 800,000 units per year over the next five years. This should only partly take account of the worldwide demand for efficient heating systems. Suffice it to say that even a 90 square meter apartment consisting of 5 rooms, at least 5 units Saiterm Spring must install. Given the economic benefit of the purchase, as well as the very high savings achieved by reducing energy consumption, we can consider 800,000 panels a year to be completely conservative and limited. With 800,000 panels divided by 5 rooms, only 160,000 homes can be built worldwide. Direct investment in the project will be made through the purchase of Saiterm Spring options, ensuring the independence of the initiative from multinational companies in the industry, large companies and banks. The financial instrument used for introduction is the Saiex coin in the Ethereum Blockchain. Saiterm Token (SAIEX) is the utility token that controls access to the various services available on the Saiterm platform. SAIEX is compatible with the ERC20 standard, and its smart contract is constantly updated to guarantee a fixed price (1 SAIEX = 1 USD). SAIEX tokens are traded on the stock exchange. As our industry continues to expand and continue to grow over the next few years, we expect their value to increase over time. It’s very easy to pay for our products with SAIEX tokens. This makes SAIEX tokens a popular currency in all markets around the world. If the Company is authorized to go public, SAIEX tokens may also be exchanged for shares in companies.